This camera took me a long time to acquire and, as far as I can tell, it's the only example the collector community has seen. It defied my attempts to identify it back then, and still does now. Yet what a wonderful design. There are no markings and I do not believe it is a prototype. Concept and prototype apparatus are typically crude and non-working. This 4¼ x 5¼ inch format camera (more than likely uses 4" x 5" plate holders) has first rate craftsmanship and the brass hardware fabrication has a lot of precision. The rack and pinion, front focusing design mimics what is known as an English Compact body pattern, yet the hardware is a more advanced and complex. (This design means that the front lens standard lies against the bed when being closed and, after the lens is removed, everything packs into the rear portion of the body.) There is an odd shutter-like assembly inside the lens housing, two unusual shutter blade controls, and a rather large accessory viewfinder. Brass hardware is substantially more robust than what is typically seen on cameras of this style. 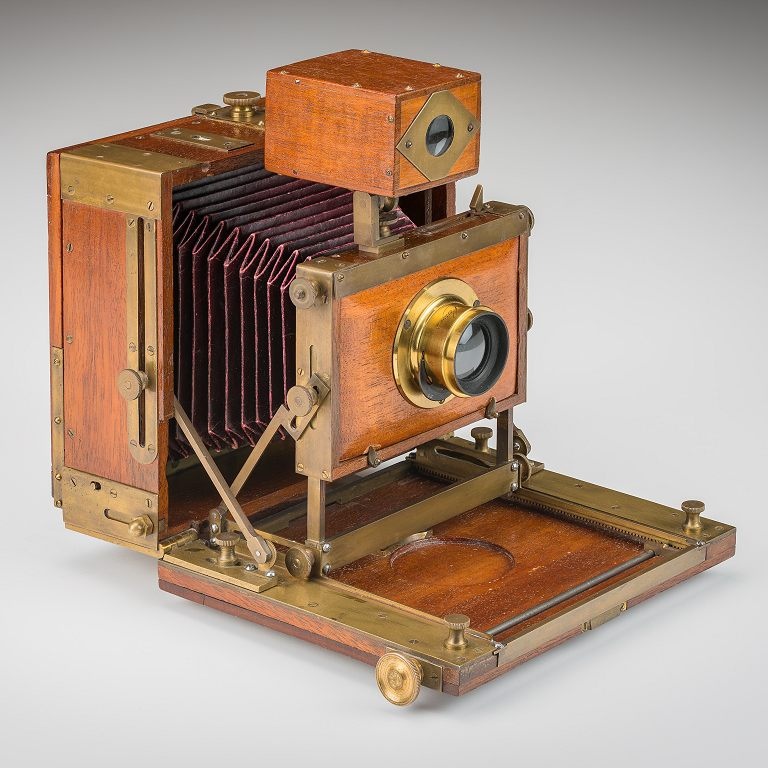 The disproportionate use of heavier brass and inclusion of "bindings" (hardware added to reinforce wood corners to prevent wood warping and splitting) is rare for American cameras. This camera also has a full range of movements such as front rises/falls and front and rear tilts/swings. 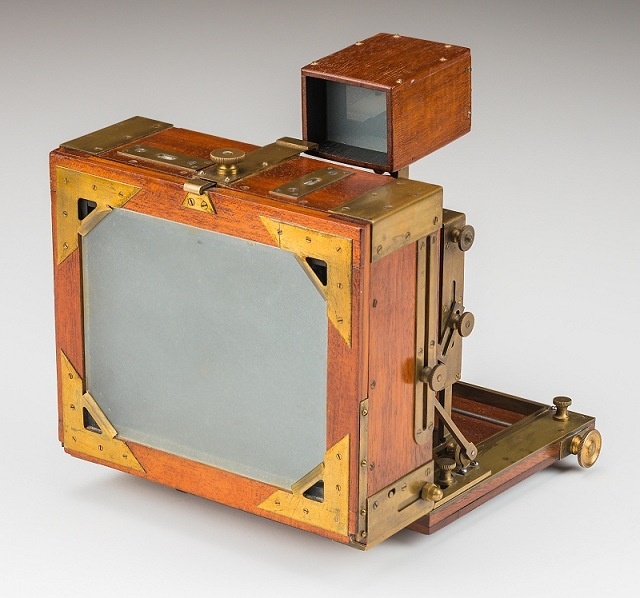 There is also an incredibly novel ground glass extension mechanism that also relies on excessively heavy brass. This camera will probably remain unidentified, but it has character.